Mohonk Mountain Stage Company was founded in 1994 by Robert Miller to bring unique and exciting theatrical presentations to New York’s Hudson Valley. Mohonk Mountain Stage Company (MMSC) consists of three branches: The Readers Theatre Group (RTG) and The Theatre for Young Audiences (TYA) and MMSC Publications. The Theatre for Young Audiences Company performed plays for grades pre-K through 3 in a unique participation format. The troupe was dedicated to creating exciting productions which amazed and entertained young people, their teachers and families. Productions strove to appeal to the creative imaginations of children and to speak to their very special needs. The TYA Company toured in schools and theaters in seven states throughout the Midwest and along the East Coast as well as performing in residencies at the Brooklyn Academy of Music in New York and the Kennedy Center for the Performing Arts in Washington D.C. The company was invited to return to the Kennedy Center for three consecutive years with its productions of Jungle Book, Frog Prince and Brave Little Tailor. Although the TYA Company still performs readings for young and family audiences, the touring component was discontinued in 1998. The Readers Theatre Group performs actively from the works of playwrights, authors, and poets. 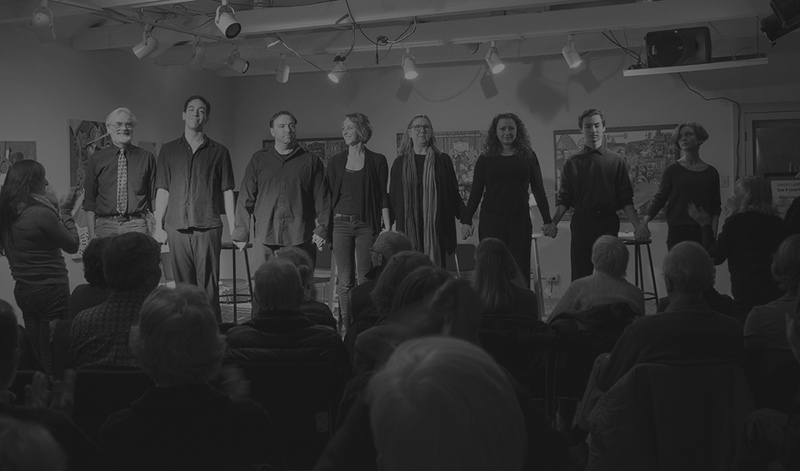 Fifty plays, including many Hudson Valley premieres and over 250 literary evenings have been presented at venues in New Paltz, Woodstock, Poughkeepsie, Rosendale and Rhinebeck. Literary evenings include readings from the works of Whitman, Joyce, Bishop, Thurber, Twain, Parker and Updike among others. 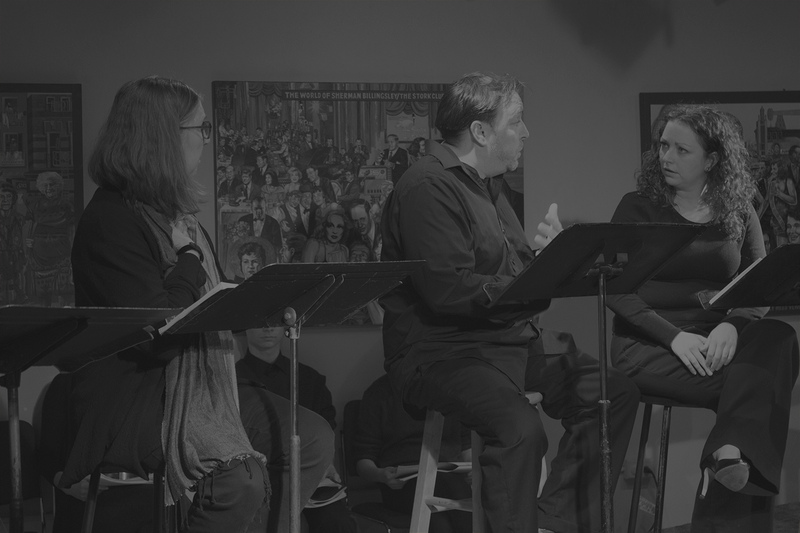 Special Note on Readers Theatre: Readers Theatre is a performance format for actors and audiences whose passions for theatre and literature intersect. It accommodates all forms of literature and celebrates the finest that has been written. It is a performance style where the word, and all concomitant ideas, purpose, and realizations, become the focus. 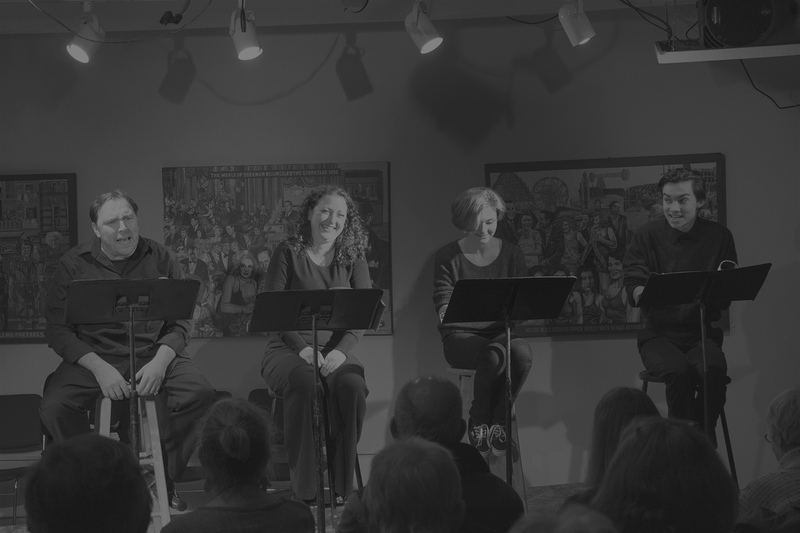 As a theatre company dedicated to celebrating the written word, Mohonk Mountain Stage Company recognizes its responsibility not only to revel in the work of gifted authors past and present, but to contribute to the development of a body of literature yet to be written. Hence, MMSC Publications produces an informative enewsletter, and Vanguard Voices of the Hudson Valley, a literary journal which focuses on the development of new plays and a regional poetry competition. MMSC Sound produces unique sound design scores.